Dr. Hartnett is a Sociologist and Demographer who studies American families and fertility. 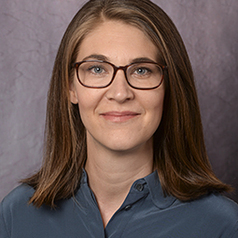 Her research focuses on how social factors influence decision-making around childbearing, including attitudes towards children, parity desires, and unintended pregnancy. A second area of her research examines the exchange of resources within families and its implications for inequality, focusing on financial transfers to young adults, caregiving support to older adults, and qualities of intergenerational relationships.